In February 2010 a article about my museum and this homepage was released on a regional magazine. 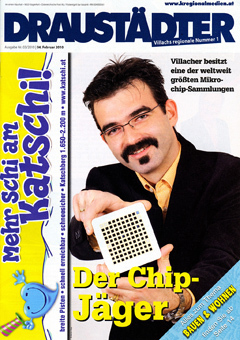 I became the VIP of the title page with the story title: " The Chip Hunter"
The response of interested people was awesome! 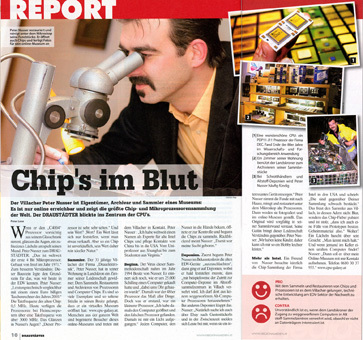 Thanks again to Prof. Peter Lexe from the "Kärntner Regionalmedien" for this great article! Sorry to all English speaking people, this article was only released in German! 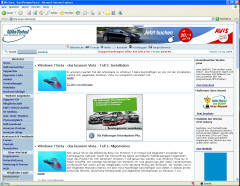 article about my website. I got a lot of positive response and many donations because of this article. 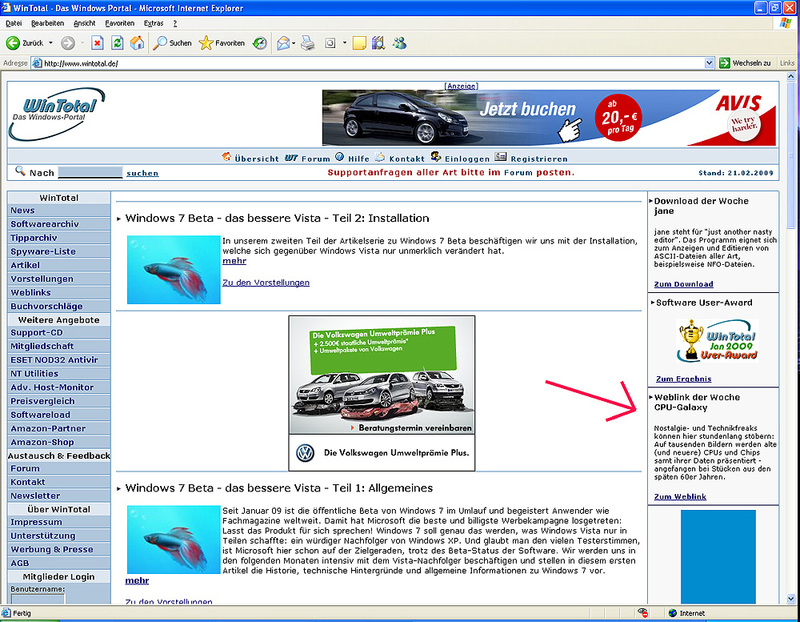 On the well known homepage " WinTotal.de" my museum became the link of the week 02/2009 !